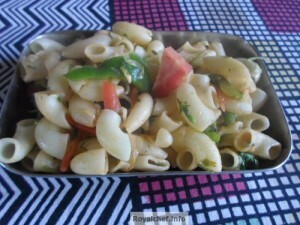 This is a Recipe for simple Macaroni Salad, this salad is liked by children and is popular as a Tiffin box item. 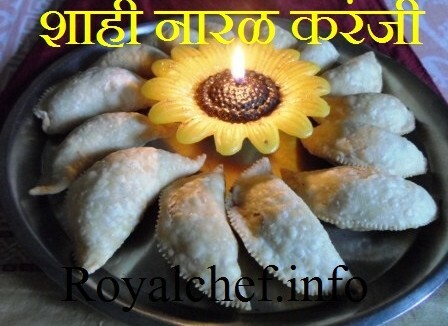 Take five glasses of Water and boil it, then add the Macaroni and cook for five minutes on a high flame. Then drain all the Water by using a strainer and keep it aside. Boil two cups of Water in a vessel, add the French Beans, Capsicum, and Carrot, remove the vessel from flame, and cover with a stainless steel plate. Keep the vessel aside for five minutes. Then drain the Water. Heat the Butter in a Kadhai and add the Onion, Green Chili, Cabbage and fry for two minutes then add the Salt, Macaroni, Tomato Ketchup and fry for a minute. Then add the cooked Vegetables and fry for two minutes on a slow flame.